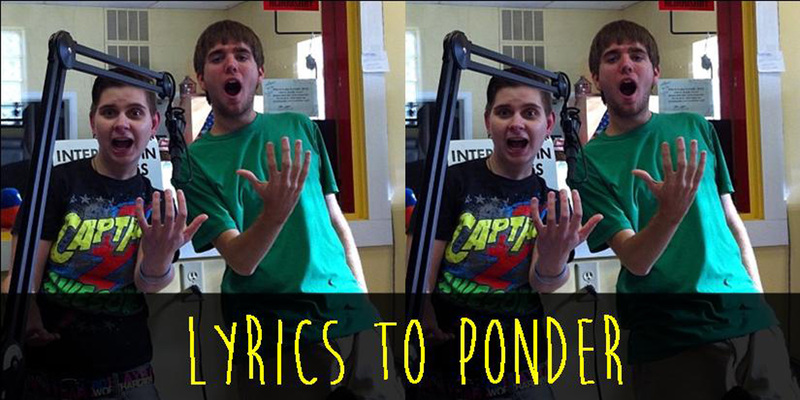 Lyrics to ponder – Hey U.G.L.Y. WHAT LYRICS HELP OR INSPIRE YOU? Everyone at Hey U.G.L.Y. has been helped by lyrics, especially when we are in pain. Knowing the songwriter felt the way we do makes our burden a little less heavy and helps us not feel all alone. Email your favorite lyrics toPreventBullyingNow@heyugly.org and we’ll post them here or comment below. You can also email your comments on any of the lyrics listed. We often allow our emotions and others to control us when we can actually control how we react to people and situations. We really do have the key to stop and assess what’s going on before we react and let something like anger control us thus spurting venom at someone or something. Why must we hate one another? Just ’cause you don’t look like me; tell me, what do you see? When we pass on the street, what do you wanna see? This song has gotten me through many times. It sheds light on mental health awareness, and talks about how hard it is sometimes to shut off those negative thoughts we have in our heads. Please know you are not alone, we are all fighting those “inner demons” right along with you.